Justice, Peace and Integrity of Creation (JPIC) was begun on 18th March, 1998. This movement helps the students to reflect on situations of injustice, on their causes and possible remedies, and challenges them to think and work for others, especially the less fortunate ones. Through JPIC the students learn to reflect on unjust situations - their causes and possible remedies, and challenges them to think of others (children deprived of the advantages of education) and to work for them. Among others, JPIC activities include visiting homes for the forgotten section of society. The mission of Girl Guides is to contribute to the education of young people, through a value system based on the Scout Promise and Law to help build a better world where people are self-fulfilled as individuals and play a constructive role in society. Guide units have some coeducational activities such as Jamborees, rallies, and conferences. Leadership Training Service (LTS) was introduced in Loreto many years back. Through the L.T.S, the girls of the school have interacted and made friends with L.T.Sers of other schools and they also learn much. One of the biggest aims of this movement is to help and care for the needy, the poor and the deprived. It has taught every Loreto L.T.Ser to let her light shine wherever she goes. Leadership Training Services helps the students to put God above self through prayer and social activities. L.T.S challenges the students to value themselves and they become responsible citizens of the country and the world. 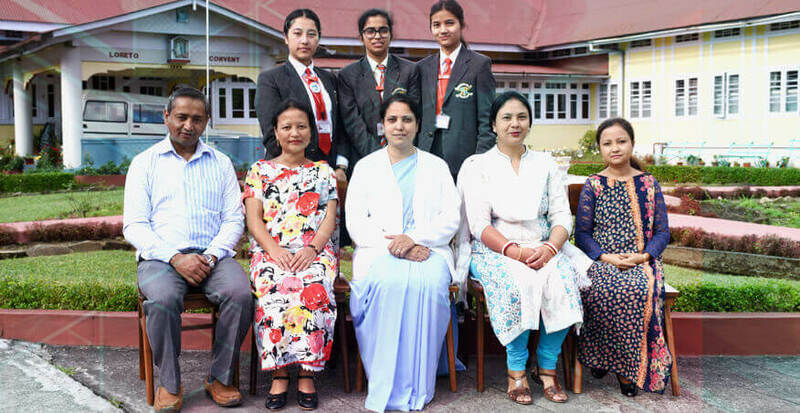 Young Christian Students (YCS) has been a part of Loreto Convent, Shillong for more than twenty two years. It is meant for Christian students of classes VIII to XII. The motto of YCS is “Spread the Light” and its methodology is “See, Judge, Act”. The YCS Co-ordinators conduct different programmes like Commitment Day, Fellowship Day and Orientation for the benefit of the students. The YCSers actively take part in various activities in the school and parish. The Movement helps children to know and understand their faith better, to reflect and to think independently not only of themselves, but of others around them, especially the needy.